Each coupling has different ratings for how much load it can carry; more information can be found here. The Bartlett or 8 ball and Ringfeder can carry the least, the pintle hook more and the flying saucer the most. The flying saucer with its 12 tonne vertical load capacity is by far the best value for load distribution to the truck. This is the standard coupling we utilise with our trailer unless another type is requested. The critical thing being the height of the trailer coupling in comparison to the truck hitch. This applies to the Bartlett ball, the pintle hook and the flying saucer. The coupling procedure requires that you check the height before engaging the coupling for all of the couplings. Air hoses, lights and power connections all need to be done regardless of coupling type. Most people can connect a flying saucer coupling up just as quickly as a Bartlett ball. Attaching a flying saucer coupling does require a spanner (which we supply); the other coupling types do not require tools. 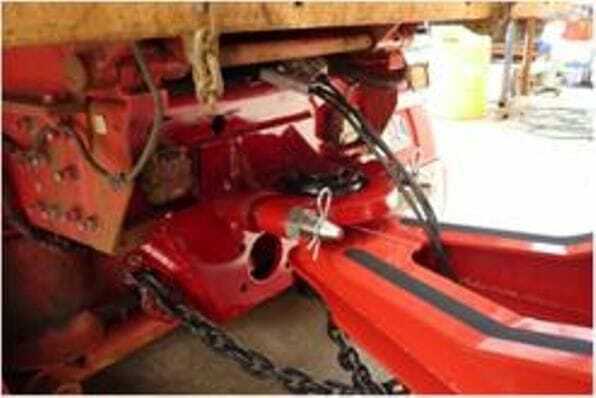 At Russell Heale Engineering, we can alter the truck coupling to fit the trailer sold. Please call us for more information. Dual coupling with flying saucer attached and pintle hook option are also available. The latest truck modification was to enable a truck to use either a Flying Saucer coupling (our standard trailer coupling) or a Ringfeder coupling. 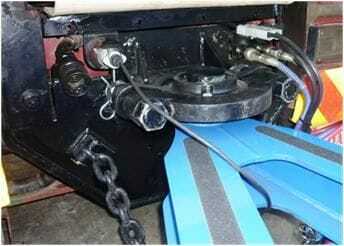 This allows the truck to pull trailers with either form of coupling. 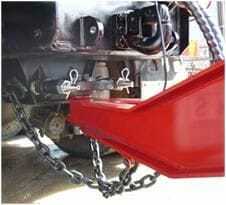 A ready made dual coupling hitch can also be sourced. There is a truck coupling manufacturer making these dual truck hitches allowing more than one coupling type to be fitted to a single vehicle. The options are Bartlett ball and Ringfeder, or Ringfeder and a heavy duty pintle hook. We can forward more information about this upon request. If you have any questions about any of the information in this article or would like to make an enquiry about our trailers please call us on 1300 559 375 or send us an email.